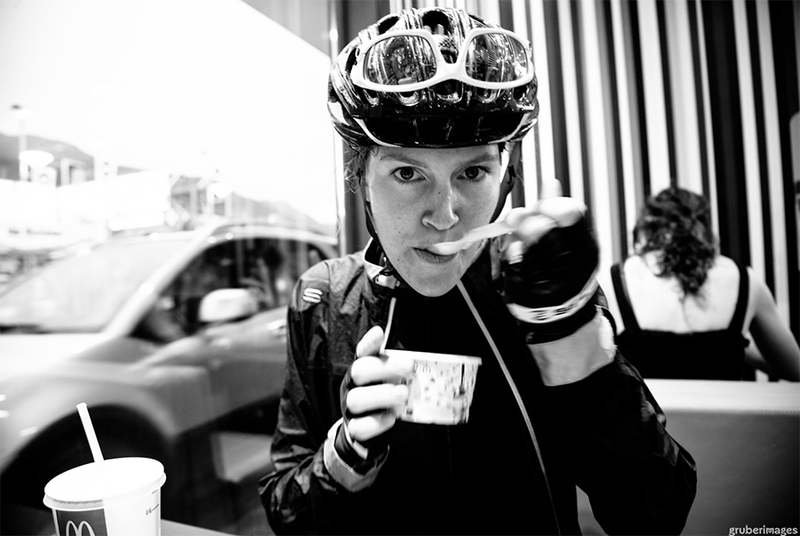 Life as a professional road cyclist seems a world away from most of our 9-5 jobs. 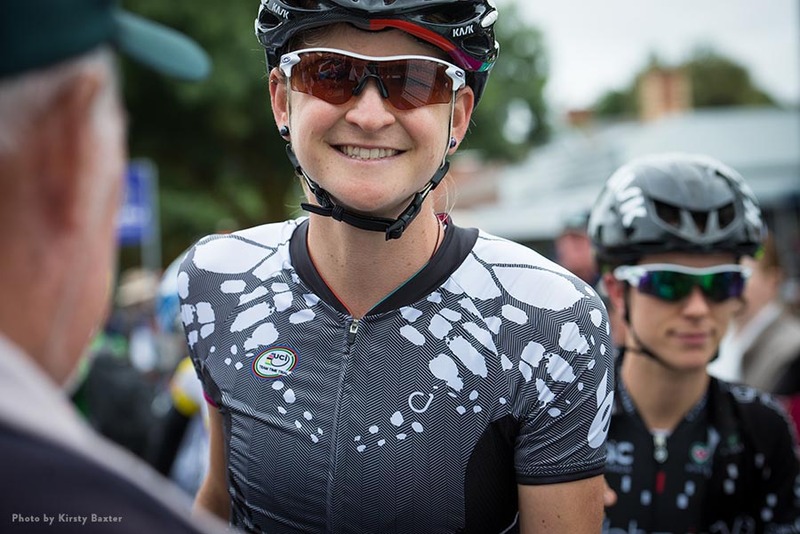 We reached out to Loren Rowney from pro team Velocio-SRAM to give us a little insight into her life and what it takes to cycle like a girl at a professional level. 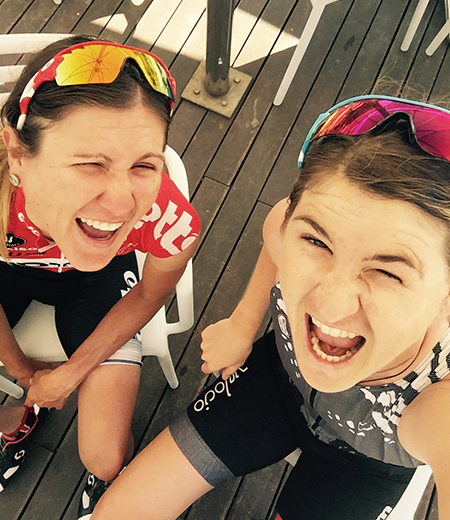 Loren Rowney was born in Johannesburg, moved to Australia when she was 8 and now calls Girona, Spain home, where she lives and trains with her best friend Carlee Taylor (Also pro cyclist for Lotto-Soudal Ladies). 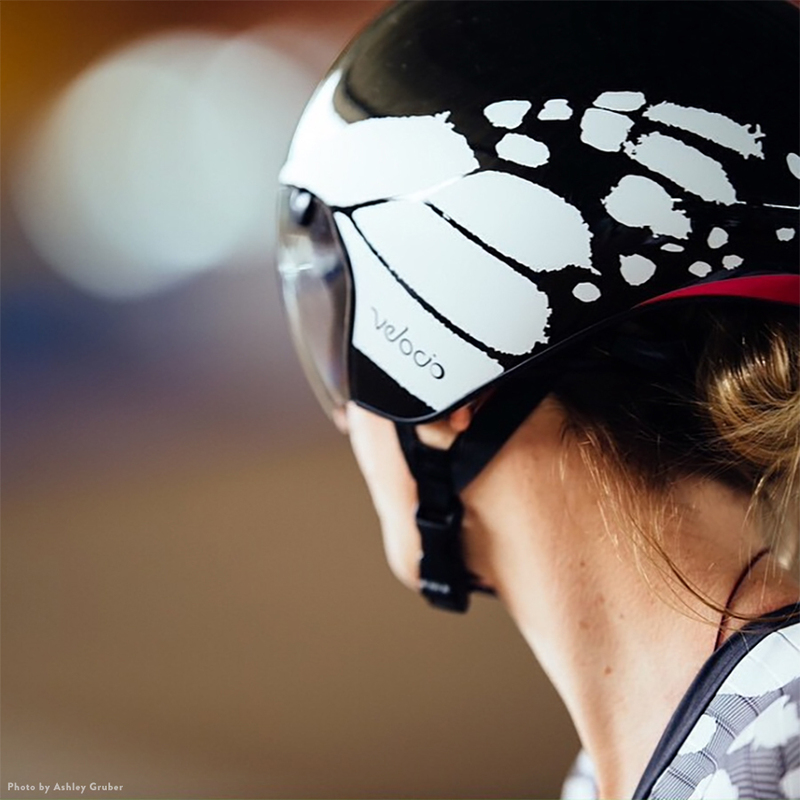 Loren turned professional when she was 23 and has spent her career with Velocio-SRAM (Previously Specialized-Lululemon) ever since their creation in 2012 which she describes as being very special. Sat what age did you learn to ride a bike? 3, but competitively 13. Stabilizers or straight on the road? Straight on the road! Who taught you? My dad taught me. My local club at the time, CATS got me set up on a club bike and taught me the ways of road racing. Where did you ride first? The Gold Coast: I did the Easter Sunday ride to tweed heads and back. 80km. It was a big deal for me! I had to stop every 5km or so on the way back because my back was so sore haha. At what age did you start taking things a little more ‘seriously’? Was this a conscious decision or did it just happen? I guess straight away. I was a competitive runner on the National level all through primary and high school. So as soon as I got on the bike I wanted to race and win. When and what was your first ever race? A local club road race on a Saturday morning. I raced E grade against the men. There was one other girl, and she’s still one of my closest friends to this day. How did it go? I got hooked on cycling! I think everyone wants to know, do you ride your bike every single day and is there ever a day you don’t want to? Pretty much every day, but of course we have days completely off, which are rest days, or travel days, or a mini break. Like any job, there are days you don’t want to go to work. But you gear up and go anyway. What is an average day, if there is such a thing, for you while you are training with your team? An average day in Spain when I’m at home is something like this. Wake up around 8, coffee, emails, speak to people in Aus, wait for my roommate Carlee to wake up, and then head out riding around 10ish. Back anywhere between 2 and 3pm, where I’ll switch on the tv and catch the last 100km of the Tour de France, have a post ride meal, and siesta….as its Spain haha. Then I’ll venture out around 6:30 to do some dinner grocery shopping. Eat dinner around 8:30/9, watch a movie with Carlee and bed between 10:30-12pm. That’s my life haha. How much of your training is mental, physical or tactical? No tactics in training. But it’s all mental and physical every single day. Is there any part of your training you absolutely hate? Ahhhh vo2 max efforts. Horrible! VO2 max is the maximum amount of oxygen that an individual can utilize during intense or maximal exercise and is generally considered the best indicator of an athlete’s cardiovascular fitness and aerobic endurance. 10 riders, two swannys, two mechanics, two Directors and the team owner. ‘Swannys’ or ‘Soigneurs’, are assistants responsible for feeding, clothing, massaging, and escorting riders and the name comes from the French for the “one who provides care”. Being part of a team that you live, ride and race with, you must have some pretty strong bonds? It’s like a family. Women’s cycling is on a much smaller scale than men’s, so I think it is definitely more family orientated almost. What would you say is one of the keys to having a happy team? Trust, a good sense of humour, and that we all have the same goal. That being we want the team to win. From an outsider’s view, training camps look awesome! is that the case? Team camps are usually full gas. It’s a lot of fun, but tiring. You’re training, but you have media commitments too. So the days are jam packed. I love being busy, so for me I love team camps. Can you tell us a little about your team members? Who is first out of bed in the morning, who is last? Who are the party animals and who are the ones who look after everyone else? Hmmm I’m probably first up being a Queenslander. Tiff [Tiffany Cromwell] the diva on the team is always last. I’m a bit of the mother hen at times. Party animals…no one in particular, I would say Tiff is the social butterfly, always on the scene you know? 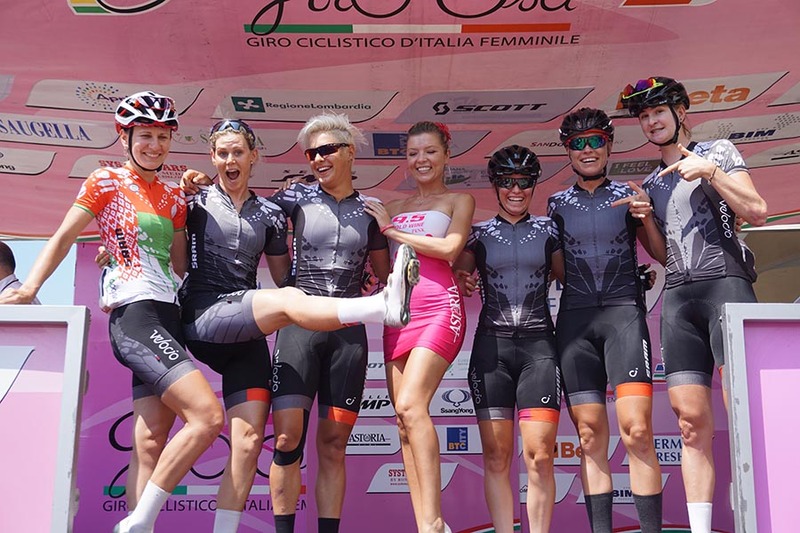 During a multiple day tour like the Giro Rosa or a single day race like La Course how many racers are in the team and how are they structured? Generally 6 riders, however the giro it’s 8. The Giro is our Tour de France. Stage races like the Giro Rosa consist of several races, or stages, ridden consecutively (10 in the case of the Giro). The competitor with the lowest cumulative time to complete all stages is declared the overall, or general classification (GC), winner. What does it mean if you are the ‘sprinter’ in a race? Basically if you are sprinter you are sheltered and protected all race till the final 150m where you unleash your fury. A sprinter can shelter by drafting team mates and other riders. 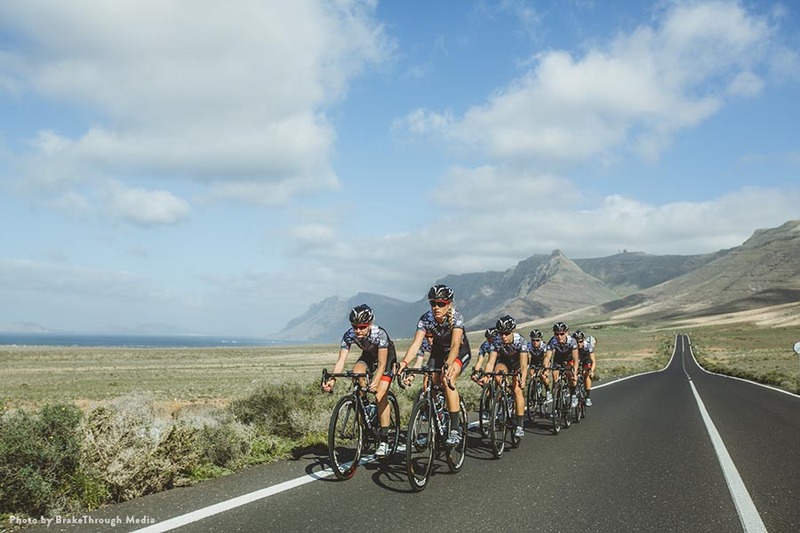 By sitting closely behind another rider, they are sheltered from the wind, and are literally being ‘carried’ along by the air pocket created behind saving 20% to 40% of their energy. What preparation does the team and coaches do before each race to prepare for the specific course? Everyone is different in their preparations, we all have different coaches. As for the team, they look at the courses, stages, and then the roster and who is going good at the time. That’s how they decide who is team leader for a particular race. How do you like to mentally prepare yourself before a race? I need to have fun and be relaxed. So good tunes in the camper and then I find Carlee my best friend and we just laugh at each other. What is your biggest fear before a race? That I’ll have bad legs and not be able to do my job. During a race are you in contact with each other and your coaches? There’s no radios so if we need to talk to the directors we go back to the car, or speak to the captain on the road. Afterwards how does the team celebrate, commiserate and recover? Lots of screaming, hugging, fist bumping. Recovery is all through nutrition, hydration, massage and lots of sleep. 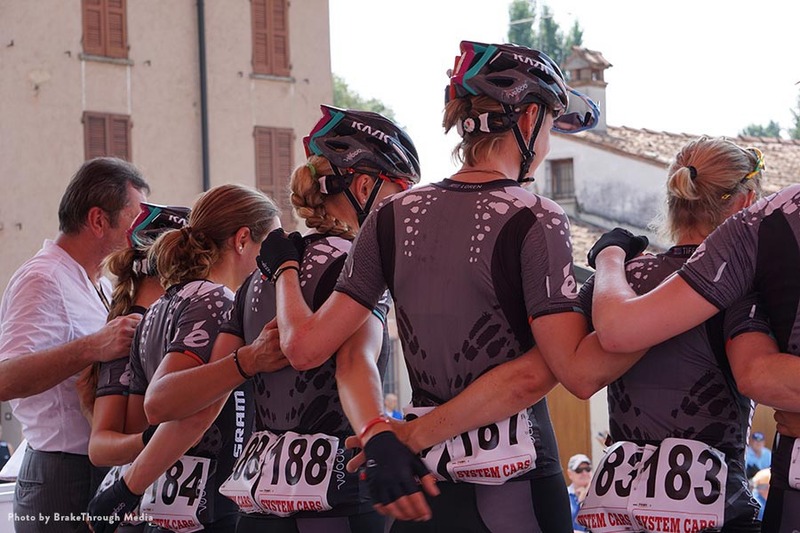 The first edition of Strade Bianche for women took place in March 2015. The 103 kilometres race route includes over 17 kilometres of dirt roads in beautiful Tuscany. 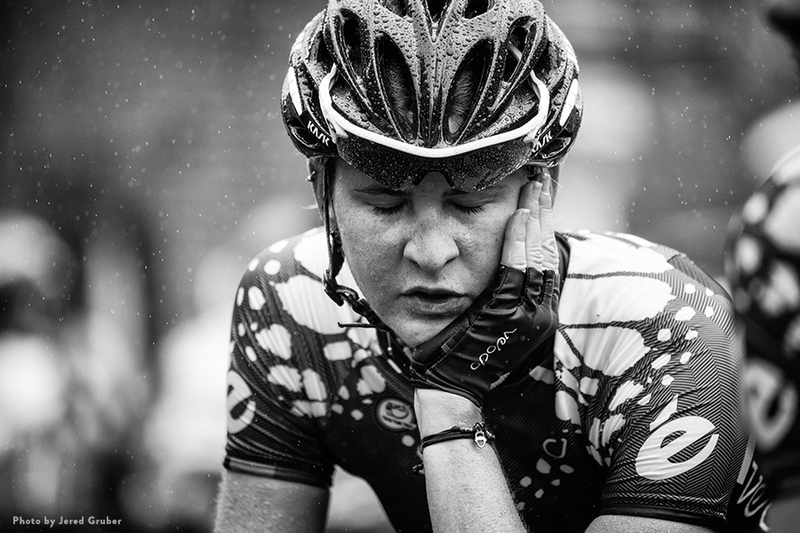 Drenthe 8 – This was the race sadly that Loren broke her collar bone after a spectator caused her to crash in the final sprint. Injuries, sadly, are part and parcel of road biking, are you fully recovered now from breaking your collarbone earlier this year? Yep fully recovered! It took a while. But I’m back and I have my confidence in the bunch which is very important. Firstly, is there an off season? Yep. As soon as you cross the finish line at the worlds road race till the end of October. What do you like to do when you are not deep into training? Travelling! I love to travel. Well, in the off season anyway. Where is your favourite place in the world to relax? Tough one. Byron bay in Australia is pretty amazing. If you go on holiday do you always take your bike with you? What would you say for you is the biggest achievement of your career so far? Winning a stage of the route de France. What are your goals for the remainder of this season and for the years to come? Try and get a race win! 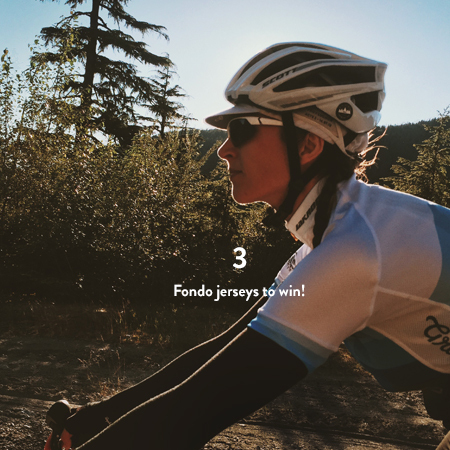 What advice would you give someone who wants to be a professional road cyclist? Think of it as a mountain. It’s going to be a long, tough climb, with some unpredictable twists and turns along the way. It’s not going to be easy, don’t kid yourself. However, once you get to the top of the climb, all the hard work is worth it, because the view is pretty amazing. This is the 2nd year of La Course in Paris, for you what makes this race so special? 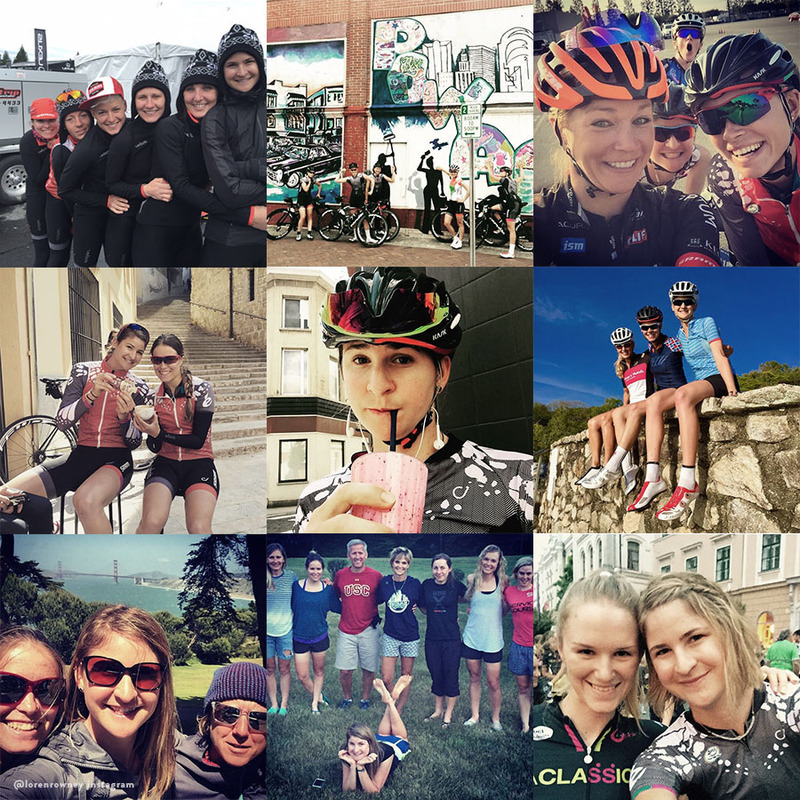 At last count there were 32 UCI (Union Cycliste internationale, the governing body for cycling) women’s teams who will compete in the major women’s bicycle races round the world as well as the UCI Road World Championships which takes place in September. What was the first thing you ate this morning? I consider coffee eating, so coffee haha. Like everyone else do you hate changing a flat? It doesn’t phase me so much unless I’m running late. How many miles a year do you ride? If you were not a pro cyclist what would you be? A conservationist. I am passionate about being a part of the change in people’s attitude towards climate change and conservation. So post cycling this is something I want to do. Go get lost in South America for a few years doing conservation work. For you what does it mean to Cycle Like a Girl? To inspire, to be a role model. I try to mentor and help out as many young Aussies as I can that are coming through. Check out more Cycle Like a Girl stories here. 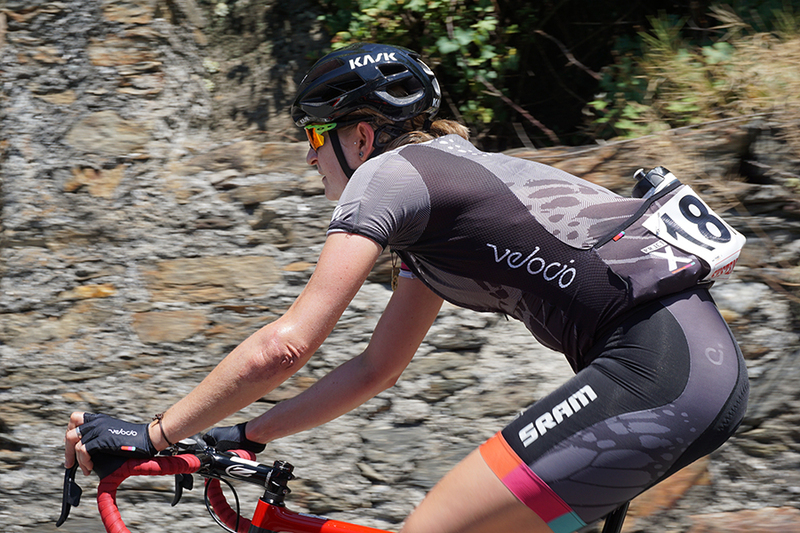 Thanks to Loren and Beth of Velcio-SRAM for making this article happen!